By buying this product you can collect up to 219 loyalty points. Your cart will total 219 points that can be converted into a voucher of R33. 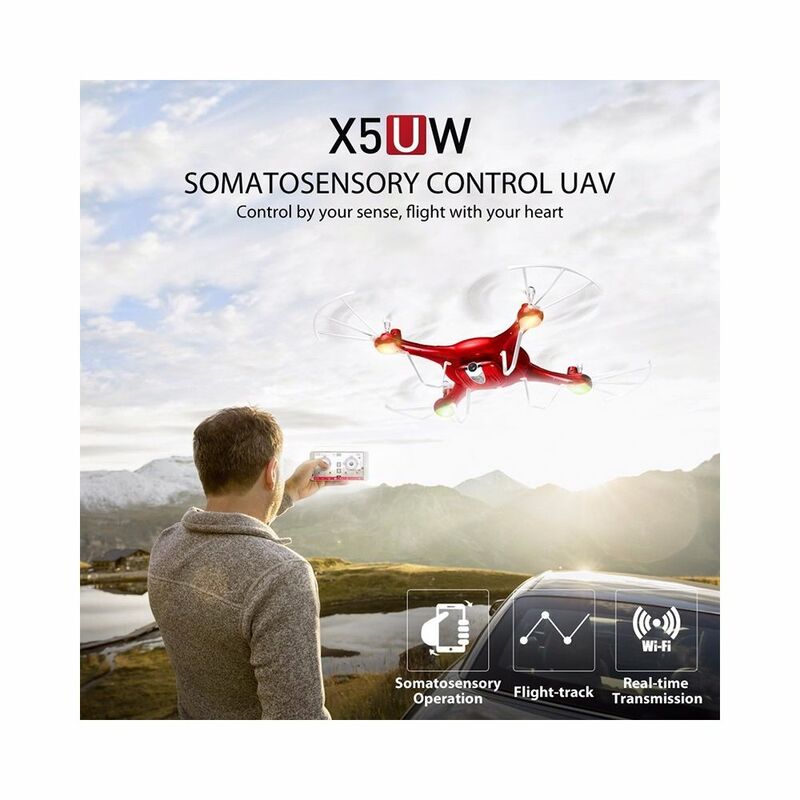 The Syma X5UW drone is the perfect tech gadget and electronic gift for those of you who are still searching for an original present to surprise your loved ones during the holidays. With its 6 axis, this drone is capable of flying on different speeds and on remarkable heights. A built-in camera additionally allows you to shoot and record footage in clear HD resolution – letting you view the world from an entirely perspective. Built from durable ABS material this quadcopter is designed in such a way that it can withstand a hit, making this drone the perfect little toy to play with for young and old. Coming with its own remote control you will be able to easily navigate this drone through the skies up to a distance of 30 meters away. Featuring two different flight speeds and 360-degree rotation this drone can be used out in the open and in narrow spaces alike. 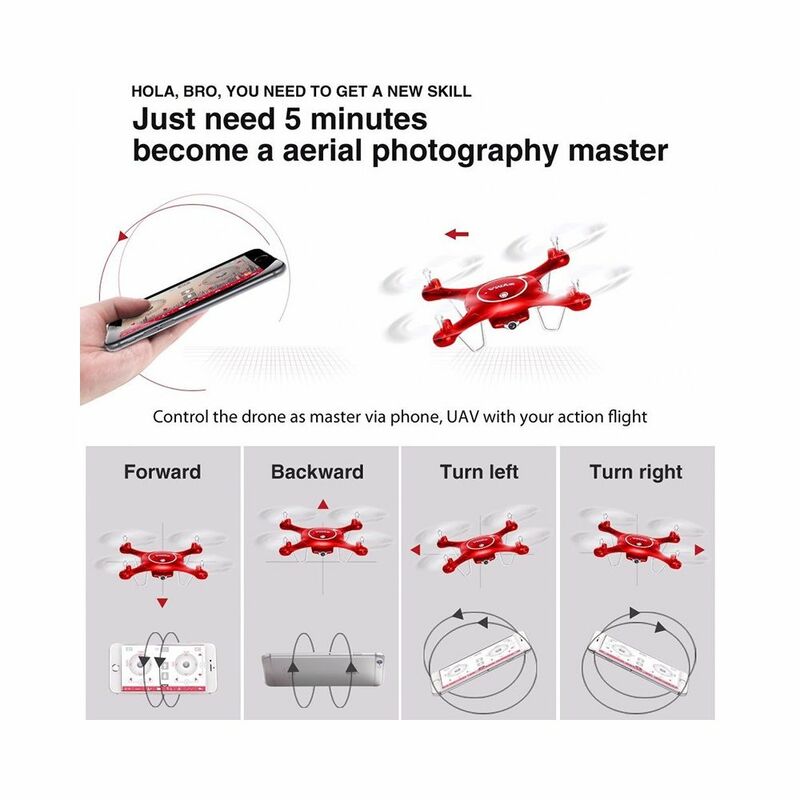 Additionally, this quad-copter allows you to sync the device with your smartphone, letting you watch its footage and recordings straight away. With its 1MP HD FPV camera, this quadcopter is capable of shooting 720p HD footage. 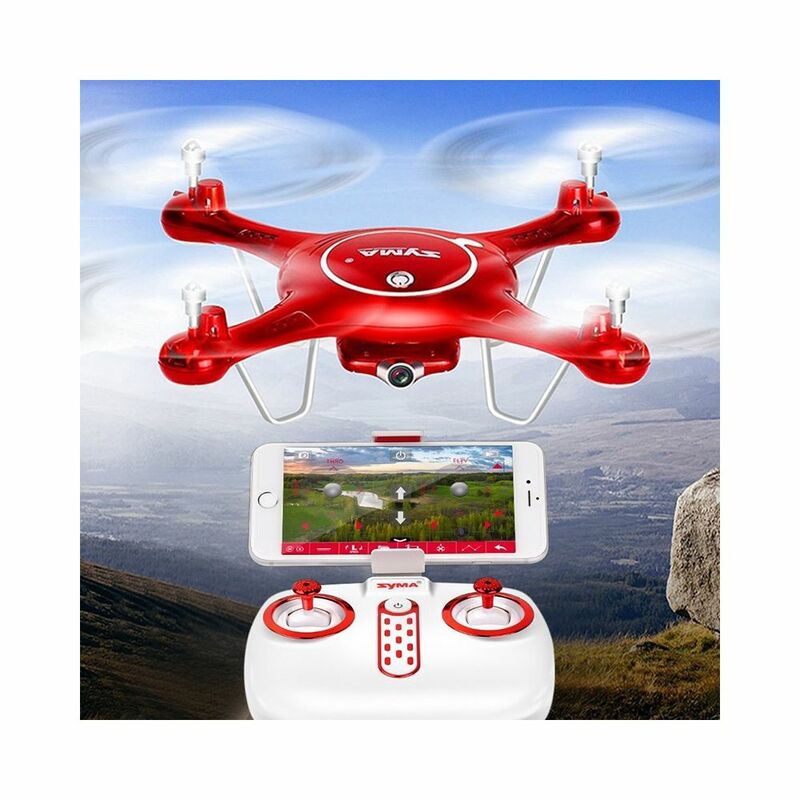 Shoot stunning footage and experience the world from an entirely different perspective – with this toy drone you’ll be able to experience hours worth of stunning entertainment. 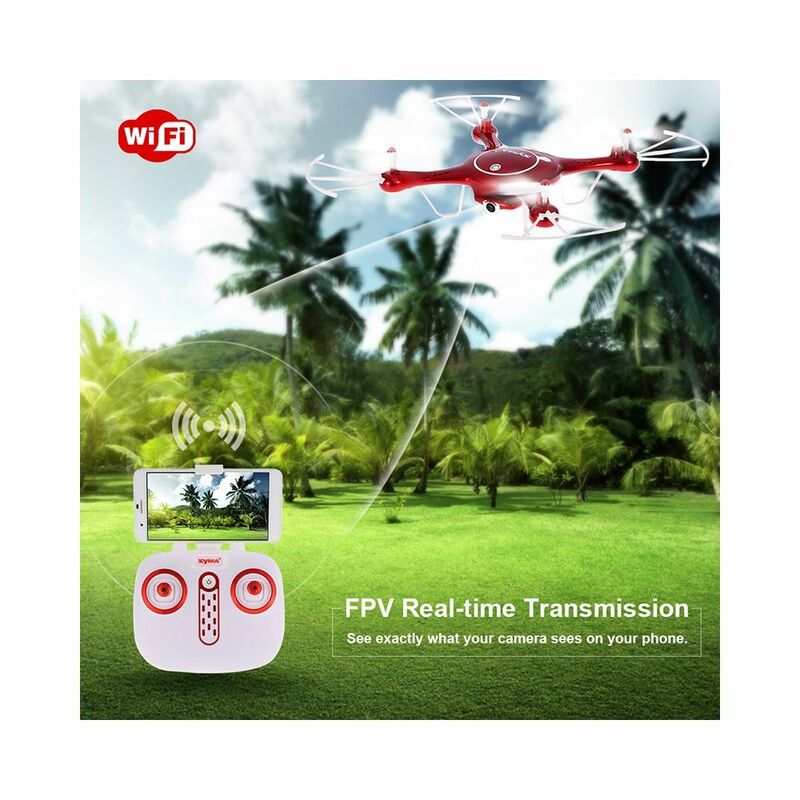 The camera of this drone can additionally be synced with your FPV glasses, allowing you to enjoy a live and first person view and providing you with the experience as if you were flying through the skies yourself. Holding a light-weight yet powerful 500mAh battery this RC Drone is capable of staying airborne for up to 7 minutes. Being replaceable, the battery pack can be easily changed with a full one on the spot, allowing you to enjoy countless hours of outdoor fun. 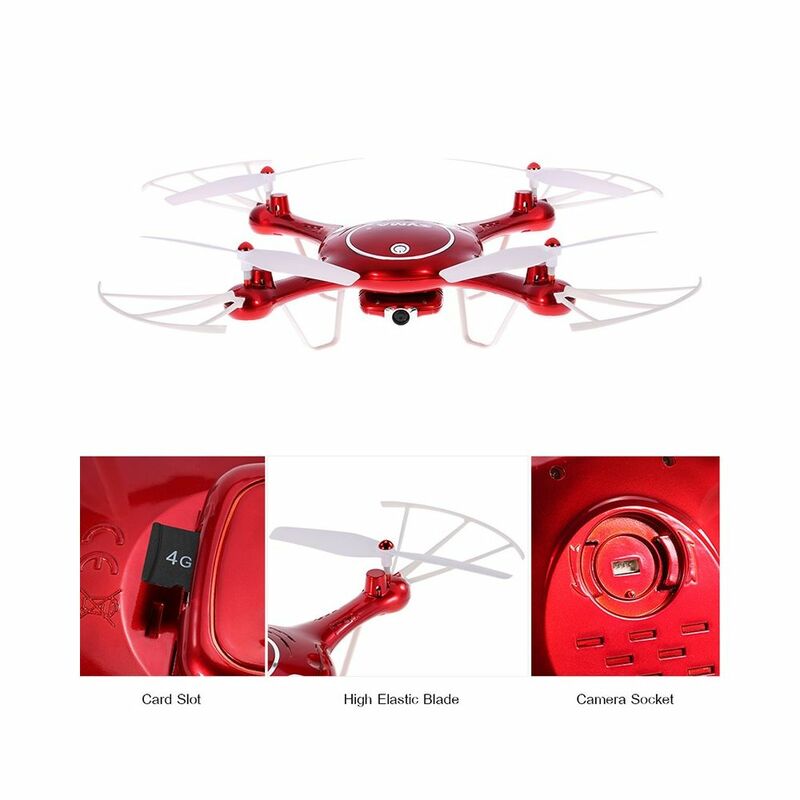 Featuring colorful LEDs at its bottom this drone can be easily spotted while navigating through the skies even in dark weather conditions – ensuring that you will never lose track of your beloved drone while airborne. 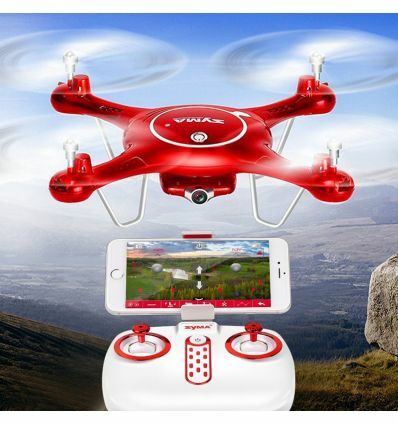 With this affordable quadcopter at hand, you have all the means necessary to enjoy a stunning drone experience. 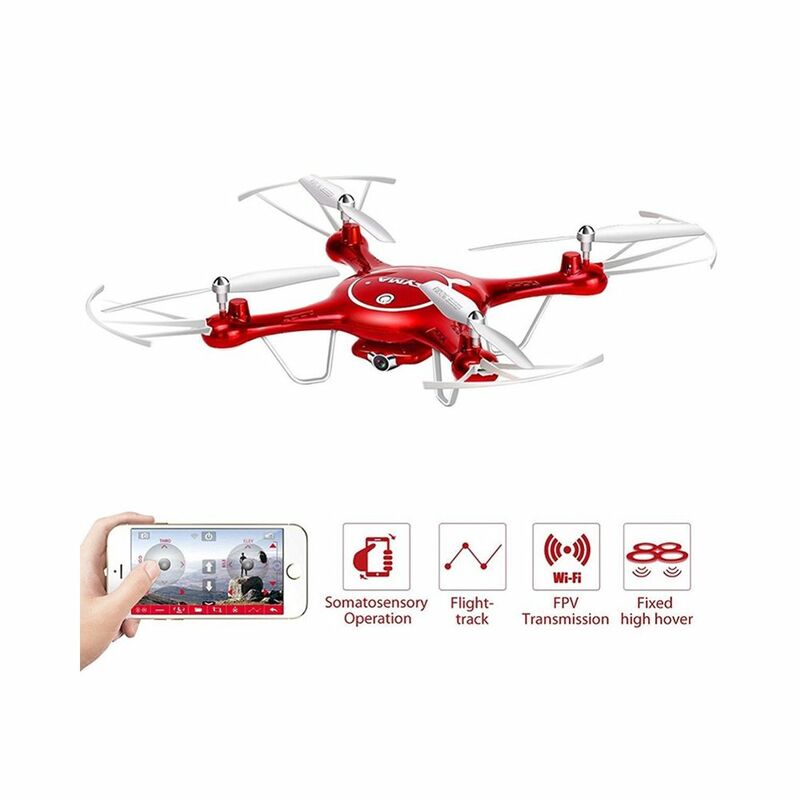 Being easy to control and holding a durable design, this quad-copter is the perfect electronic toy gadget to be enjoyed by young and old alike. 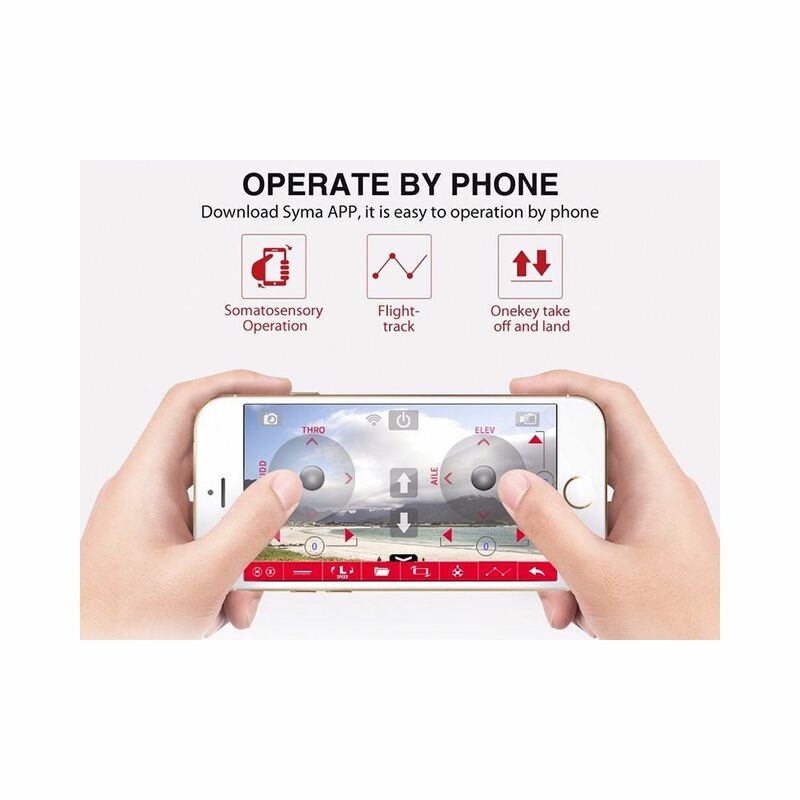 The Syma X5UW drone comes with a 12 months warranty, brought to you by the leader in electronic devices as well as wholesale electronic gadgets.